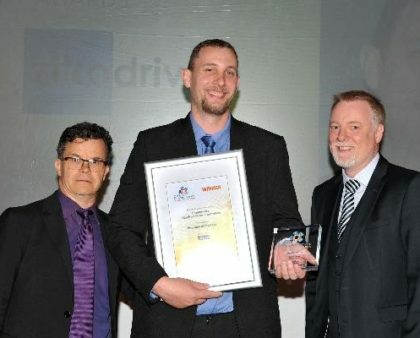 Work for Zikodrive Motor Controllers - UK's premier motor control experts! Motor control design engineering, quality management support jobs and apprenticeships - why not work with us? At Zikodrive we use creativity, vision and hard work to turn design concepts and ideas into working projects. It’s exciting. It’s remarkable. It’s hard work but it’s worth it. As part of this we are constantly on the look out for the right people to join our growing company. As a predominantly Calder Valley based company we are always interested in hearing from local people. If you don’t have experience in the motion control industry but would like to learn, maybe you’re an apprentice or school leaver looking for an opportunity, then please get in touch. If you are interested in working with us please check below for current vacancies. We are very happy to accept applications from people who are interested in working for us, including apprentices. We currently have an office team who deal with enquiries, marketing and our website, an orders team who carry out quality testing, packing and shipping and an engineering team who deal with the design projects. When submitting your CV please state on your cover letter why you would like to work for Zikodrive and which department you would like to work for. Please send any CVs or requests for more information to Shelley [at] zikodrive.com. Alternatively please give us a call to discuss any potential openings. Knowledge and/or experience of PCB design with focus on motor controller/mechatronics. Experience of developing a PCB design from concept through to completion. Good knowledge of motor types and relevant applications for different types. Knowledge of range of communication protocols relevant to this market – CANbus, Modbus etc. Experience and/or knowledge of microcontroller programming. Ability to work under pressure and take responsibility for own decisions and quality of work. Ability to work independently as required but also to be capable of working well in a team. A dynamic, growing company taking on a range of projects with a range of clients from startups through to Fortune 500 companies. As a small, growing company we can offer the prospective candidate a chance to take on a key role as the company continues to grow. Experience or interest in electronics (qualifications such as GCSE / A level or equivalent would be a bonus). Good practical skills – for example use of tools, wire stripping etc. These can be taught but previous experience of this would be a bonus. Meticulous and precise with good attention to detail.